Check out music, videos, and more from Scott Pemberton below. Scott Pemberton has an approach to playing the guitar much like the vibe of his native Portland: freaky, fun and just the right amount of weird. 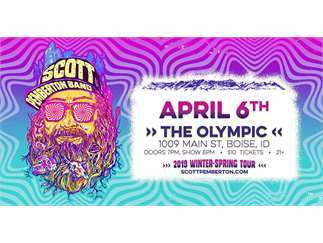 The guy is unique and blends deep jazz, NW rock/grunge, blues and groove into a sound described as “Timber Rock.” Scott has not only been wowing audiences across the US, but also been winning over his peers with strong performances at festivals like Jamcruise and High Sierra.